We have a task for Jaguar's California and New Jersey staffs. Better start cleaning off a few shelves in your offices. Get out the Windex, the dust rags, and get a few boxes for packing. You're going to need the space. That's because your company is likely to win quite a few awards, to say nothing of new customers, thanks to your latest coup: The 2011 Jaguar XJ. There simply is no way to describe this car. Words fail. It is, at once, one of the most breathtaking automobiles in the world, one of the most uniquely designed and one of the most dramatic --and successful--shifts in direction we've ever seen--by any car company. 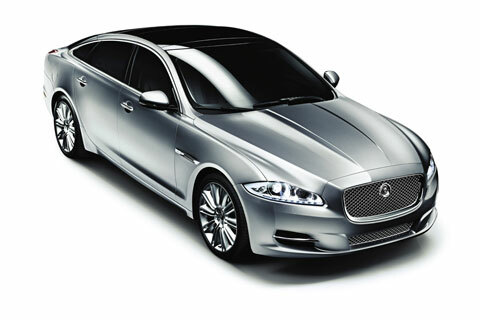 Jaguar XF's predecessor was a wonderful car in its own right. Its classic lines, awesome power and strong heritage made the car a force to be reckoned with. But time had caught up with it, and a replacement was needed. And what a replacement it is! Jaguar managed to come up with something unique and something altogeher contemporary without destroying that Jaguar aura altogether. This new car is its own car. It owes nothing to anything or anyone. And you will never, ever mistake it for anything else on the road. And we say bravo. “For 40 years, the Jaguar XJ was the quintessential Jaguar,” said Mike O’Driscoll, Jaguar’s Managing Director said at the unveiling for the new XJ. “But we recognized that there had to be a fundamental shift in design.” He added, “In the 1950s and 1960s, Jaguar made its name as a sporting car.” But thereafter, he said, we became over-focused on luxury, a car with a wafting ride.” No more. Starting with the XK and XF series, and now with the XJ, Jaguar is reclaiming its storied reputation as a builder of fast, beautiful cars, Mr. O’Driscoll said. The new car has enough “Jaguar-ness“ in its looks, profile and cat-like stance that lovers of the old model should feel comfortable with it and buy it in significant numbers. Yet the car is contemporary and striking enough that new–and likely younger —people who may not have had a strong affinity for the old model will want the new XJ all for its own new qualities. From the unusual roofline, to what appears to be an aircraft-inspired interior with huge, stylish, chrome air ducts and a cockpit-like theme that makes drivers feel as though they’re piloting a jet fighter, this car has not a single element anywhere that will remind you of any other luxury car. “The elongated teardrop shape of the side windows establishes the car’s silhouette and lies at the heart of its flowing design. And the all-new XJ doesn’t just look streamlined: it shares a drag coefficient of 0.29 with the XF sedan, making them the most aerodynamic Jaguars ever,” a Jaguar news release says. “A coupe profile cloaks a cabin with comparable levels of space to sedans with a more conventional style. 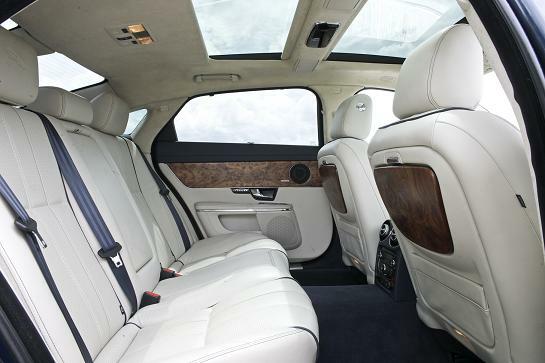 There is generous accommodation for five occupants, while long wheelbase models provide rear-seat passengers with even greater levels of comfort thanks to an additional 5 inches of rear legroom.” The new XJ has a panoramic glass roof which is standard equipment on all models, and it ”dramatically enhances the sense of light and space inside the all-new XJ. And in keeping with its status as the ultimate four-door Jaguar, the XJ employs a new generation of interior technologies, with cutting edge use of display and infotainment systems such as innovative virtual gauges via a 12-inch TFT screen, rather than conventional gauges and the 1,200-watt, 20-speaker, audiophile-level Bowers & Wilkins sound system,” the news release says. One of the most likeable things about the new XJ is that it is a completely intuitive car. It hasn’t sold its soul for the latest, most complex and most confusing and useless technology for its own sake. Save for an easy to use dial in the console that slides into your palm and that you use to select a gear, there is nothing here that will require you to read a thousand page owners manual just to operate one control or function, and that applies even to the simple, legible navigation/audio/climate control screen. You should be able to get into the car , start it up and be on your way with not a moment’s hesitation, and that‘s just the way Jaguar officials like it—thank goodness. 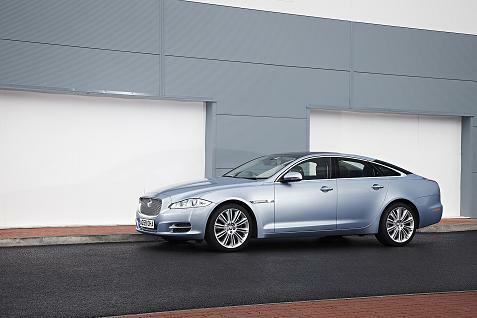 There are several models to choose from in the XJ lineup. There’s the XJ and XJL models powered by a 5.0 liter, 385 horsepower V-8 that hits 60 in 5.4 seconds; XJ Supercharged and XJL Supercharged models with a 5.0 liter, 470 horsepower V-8 that reaches 60 in 4.9 seconds, ands XJ Supersport and XJL Supersport models powered by a 5.0 liter, 510 horsepower, supercharged, direct injection V-8 that rockets to 60 in 4.7 seconds. Handling is of course, what it’s all about with any Jaguar, and the new car does not disappoint. The steering is perfectly balanced, requiring no correction to keep it on course. There will be some time required however, to learn how to modulate the brakes when applying them; though they stop on a dime, they are somewhat touchy until you get used to the level of low pressure required to engage them. When it comes to cornering, the car handles the road like a bobsled, while rewarding owners with melodious, rich notes coming from the chrome-trimmed exhausts. The car features “Adaptive Dynamics,“ involving “smart and flexible shock damping,“ “Active Differential Control on supercharged models, which is an electronically controlled differential, and quick-ratio steering. Prices range from $72,500 for the base model to around $115,000 for the XJL Supercharged model. From our lips to heaven's ears: We want one.